Today's commemoration on the centenary of the Third Battle of Ypres, Passchendaele, are highly personal for me. During this Autumn I intend to visit the area because I believe the commemoration of the sacrifices of the ordinary working people who fought that war are understood and never forgotten. If having seen action at the Somme in 1916 and Arras earlier in 1917 wasn’t enough, Battalion 18 of the Northumberland Fusiliers found their way to Belgium for what many historians regard as the decisive battle of the Great War. The 18th – the 1st Tyneside Pioneers - was a ‘pals’ battalion, where friends and workmates answered the call together, fought together and died together. 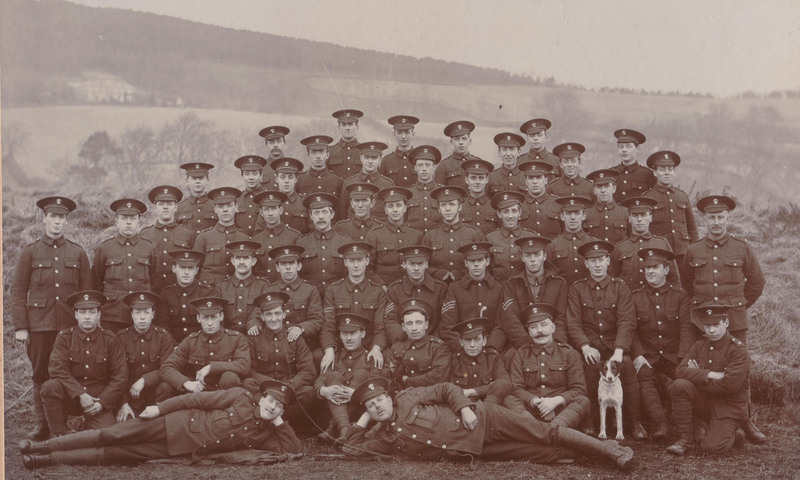 The photograph of Platoon 5 was taken at Rothbury, Northumberland in December 1914 – nearly three years before Passchendaele. My Grandfather Joe Robinson is third from the left in the front row. How many of the pals survived, till then, I wonder? Somehow Joe had. Before Ypres, as an experienced miner, he had been sent to work with the Royal Engineers Tunnelling companies at Messines and learned the explosives skills he would use for the rest of his working life underground. At Passchendaele, he would be among the 300,000 estimate allied casualties, wounded by shrapnel – at what stage within the 102 day campaign I don’t know. Sent back to England to convalesce, Passchendaele was not the end of Joe’s war, he would return to France in the spring of 1918. Passchendaele involved human sacrifice on a horrific scale. The strategy, tactics and moral judgements involved, given the knowledge of the slaughter that had gone before, were highly questionable. The battle was indecisive in terms of territory gained but, because of the unsustainable casualties inflicted, effectively ended the ability of Imperial Germany to win the war. 100 years on Europeans go to Belgium to talk about and settle the affairs of our continent peacefully. In doing so we honour the memory of those who fought in the mud of Flanders.